Toyo will develop a new department focused on Global Innovation Studies, where students will study in English for a four-year bachelor’s degree. 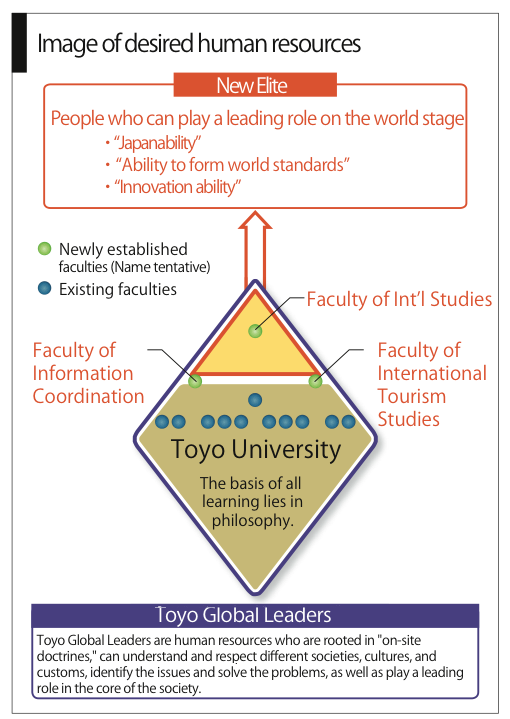 The innovative Toyo Global Leader (TGL) program will be available to all Toyo students. Students who complete the TGL program’s requirements will be entitled to receive a TGL certificate in addition to their regular academic degrees. These requirements include completion of a one-year study abroad program, fieldwork, an entrepreneurial practicum, and TGL camp. E-portfolios have been utilized to maximize the learning outcomes of academic writing tutorials. This student-centered program focuses on preparing students for global engagement with even greater attention to developing their English language competency, providing opportunities for interaction with international counterparts, and moving toward the goal of university-wide study abroad participation for Toyo students in the future. 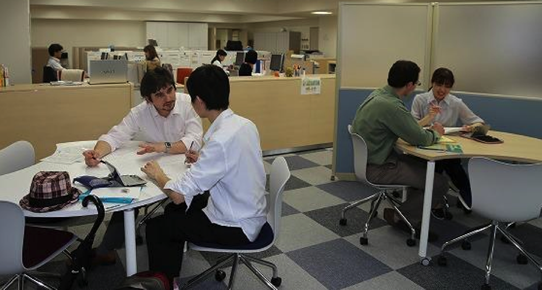 Ongoing efforts at Toyo Regional Development Studies to prepare its students for success in study abroad have already doubled the number of study abroad students over the last two years. Toyo University has developed an e-portfolio system for assessing student learning, particularly English proficiency and study abroad experience. The progress reports of all the students in the Faculty of Regional Development Studies (RDS) have been accumulated in the RDS folio system. This e-portfolio system will become a university-wide system in 2015 with an enrollment of 32,000 students. 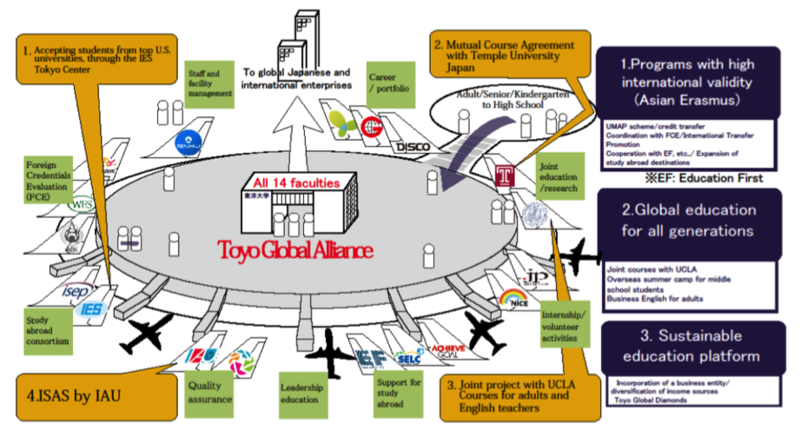 Toyo University will create an extensive alliance network for internationalizing curricula and globalizing the university environment. 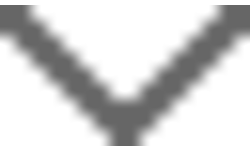 Toyo’s strategic partners include international nongovernmental organizations such as International Association of Universities, nonprofit consortia organizations such as International Student Exchange Programs (ISEP), IES Abroad, and other study abroad service providers. Through these partnerships, Toyo will be able to share knowledge and resources with other universities and third parties. 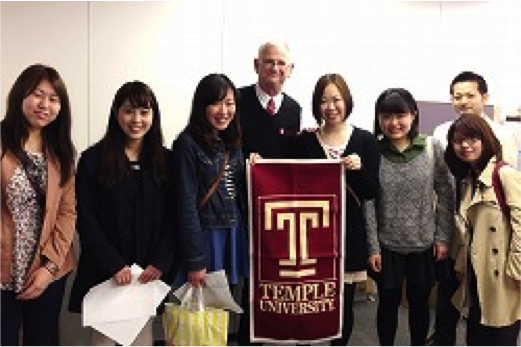 Toyo RDS and Temple University Japan (TUJ) have agreed to collaborate on a cross-registration arrangement. Toyo University will establish a new private entity for providing various global education programs such as English courses for elementary and middle school students, and study abroad programs for senior citizens. 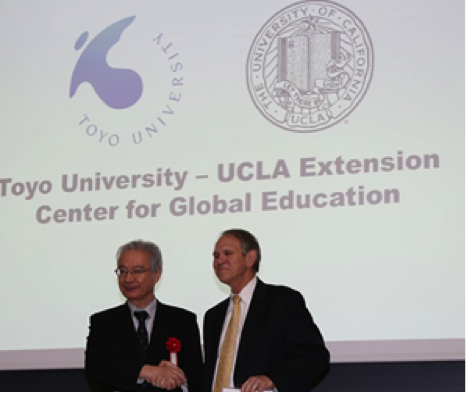 Also, the new company will be responsible for managing the Toyo University-UCLA Extension Center for Global Education. In this business model, Toyo University will not need to rely on public funding and it will create a sustainable business model for global education.